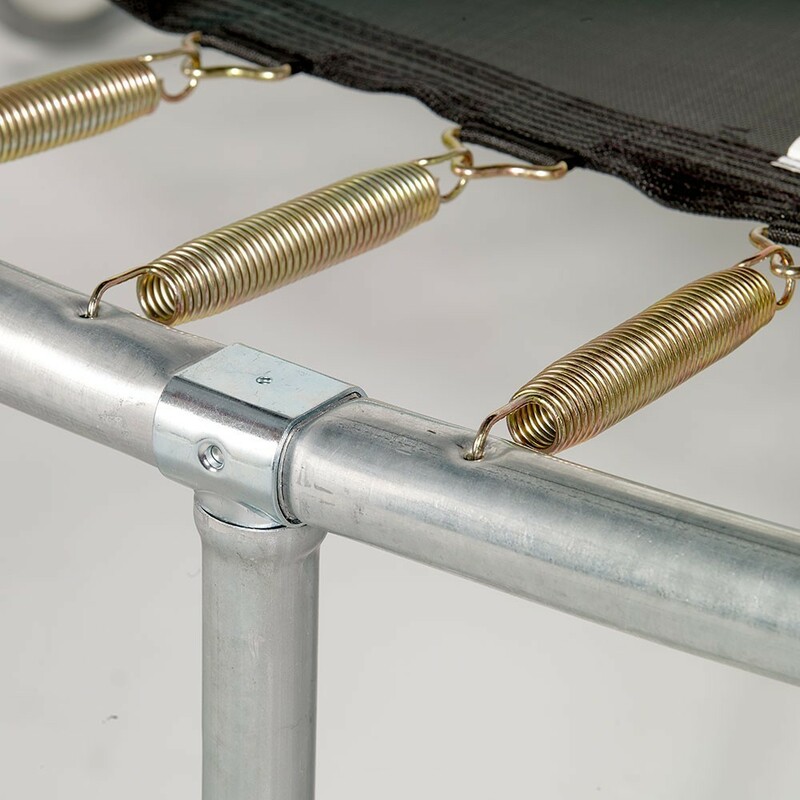 Review and update your 14ft / 4.30 m trampoline with the Jump'Up 430 and install your current safety enclosure on it. 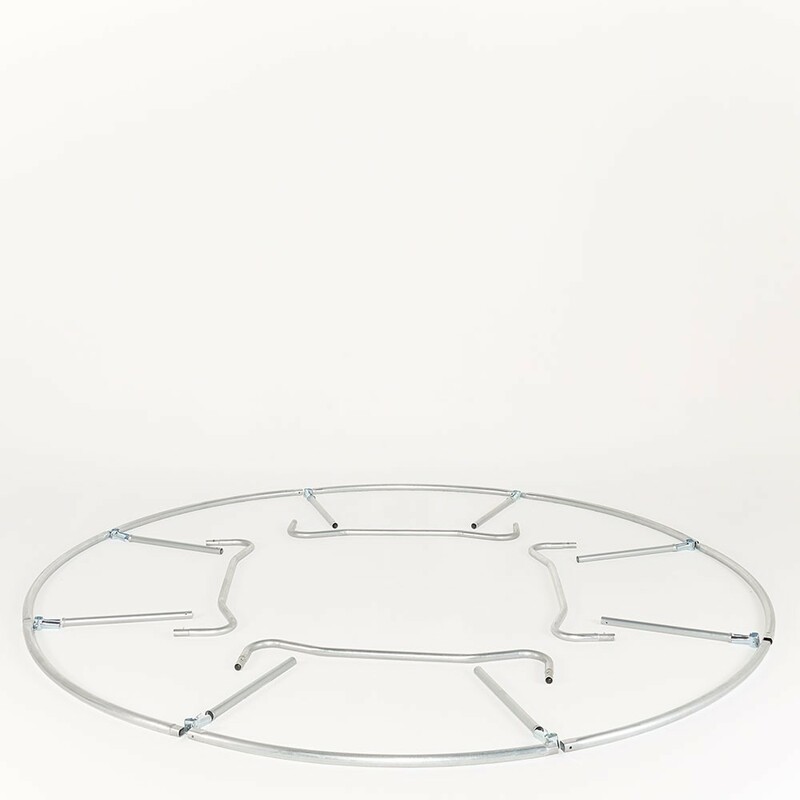 If you need to trade up your trampoline but your current safety enclosure is still in good condition, consider purchasing the outdoor Jump’up 430 Trampoline, sold without a safety enclosure. 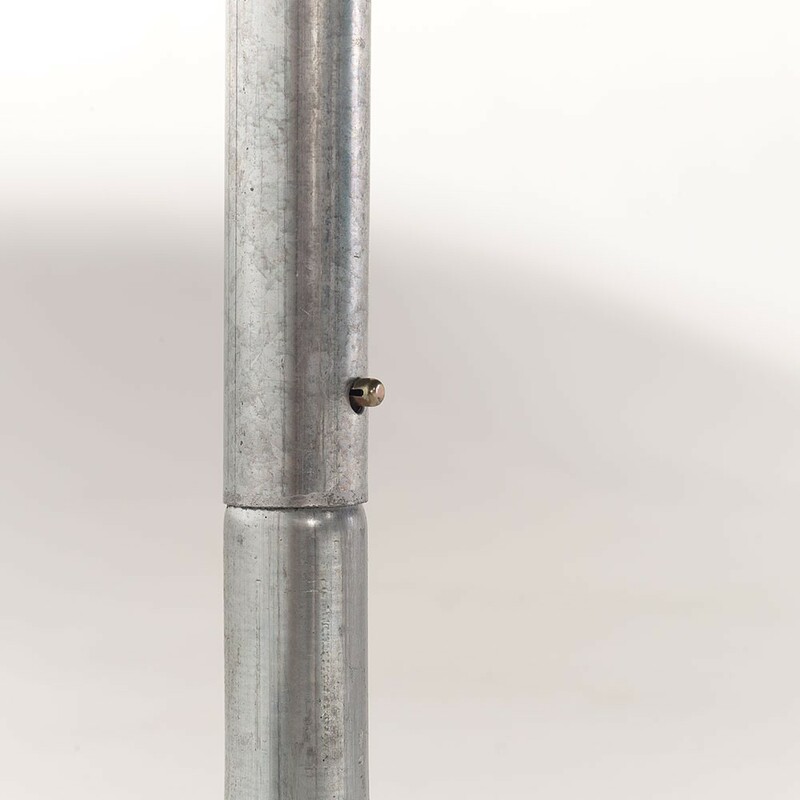 - Your safety enclosure is compatible with the Jump'Up 430 if it has 8 net poles and is fastened with mounting brackets. 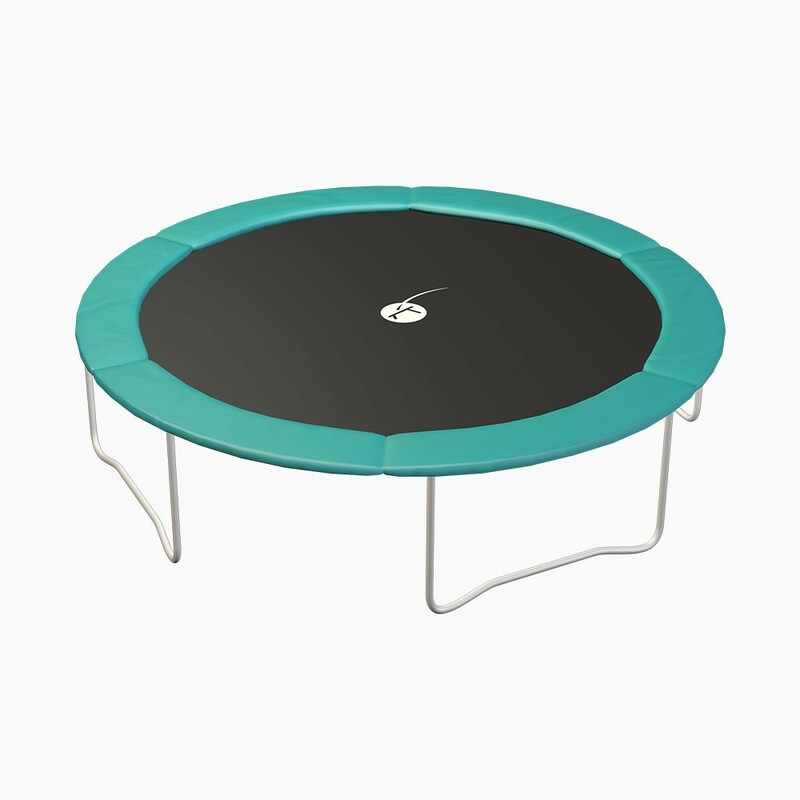 Your net poles should measure between 25 and 38 mm in diameter to be parallelly positioned along the legs of the trampoline. 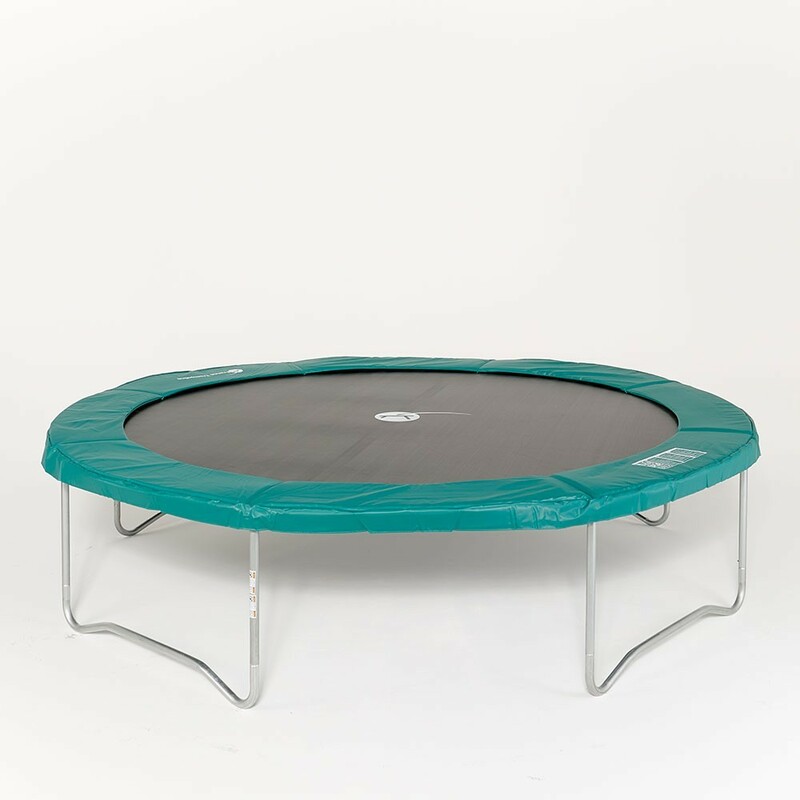 - Measuring 4.27 m in diameter, this quality trampoline's robust frame is made of hot-dipped galvanized steel and is designed to remain outdoors all year-long. 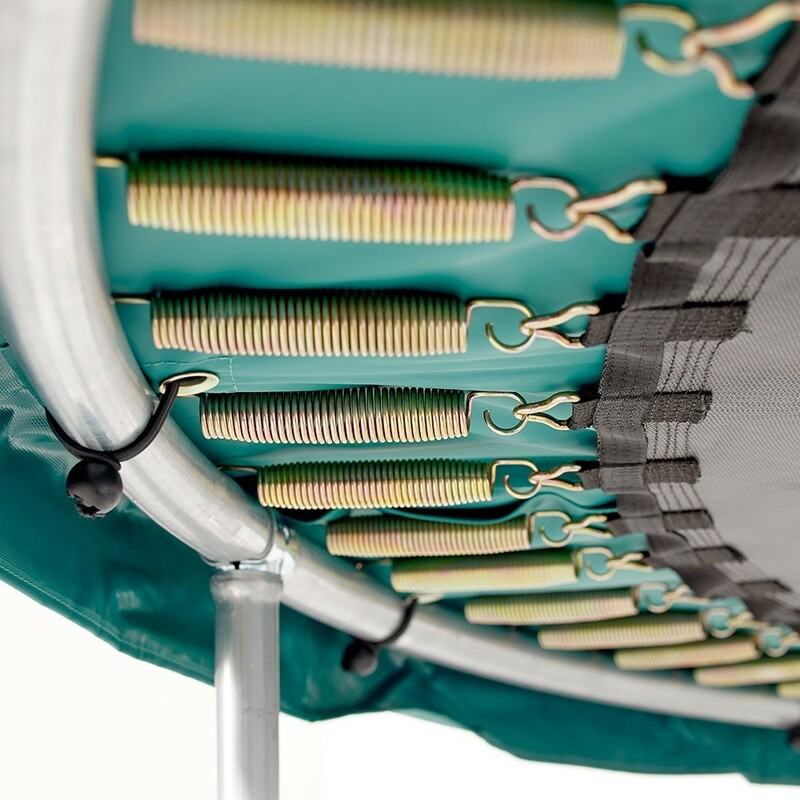 - The Jump'Up 430 trampoline is equipped with 88 corrosion-resistant springs, and can withstand weight of up to 120kg. 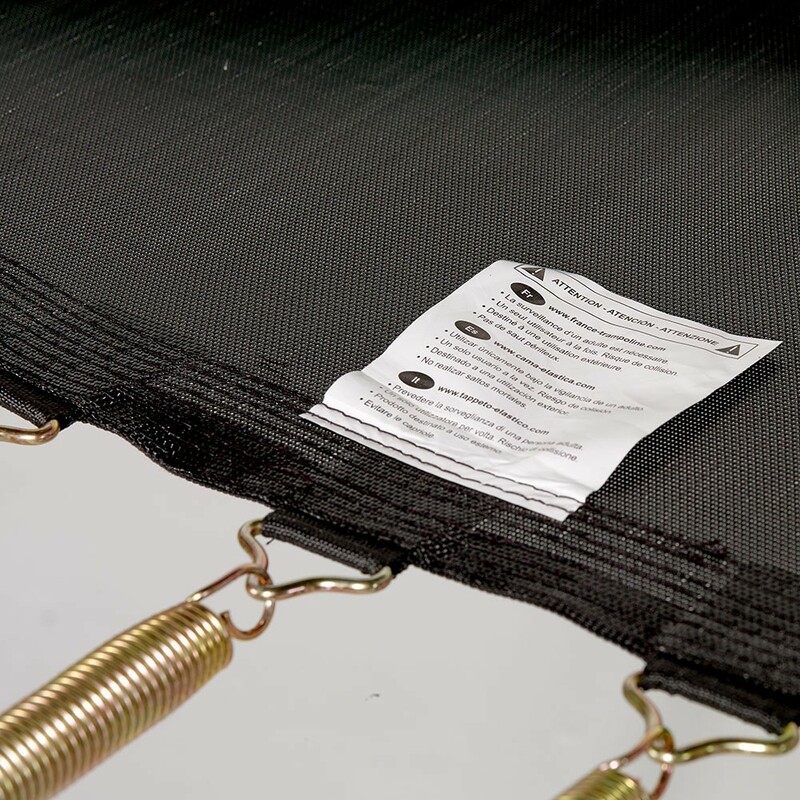 - This large trampoline's jumping mat is reinforced at the fixation points with a reeinforced strap sewn on with 8 rows of stitches. 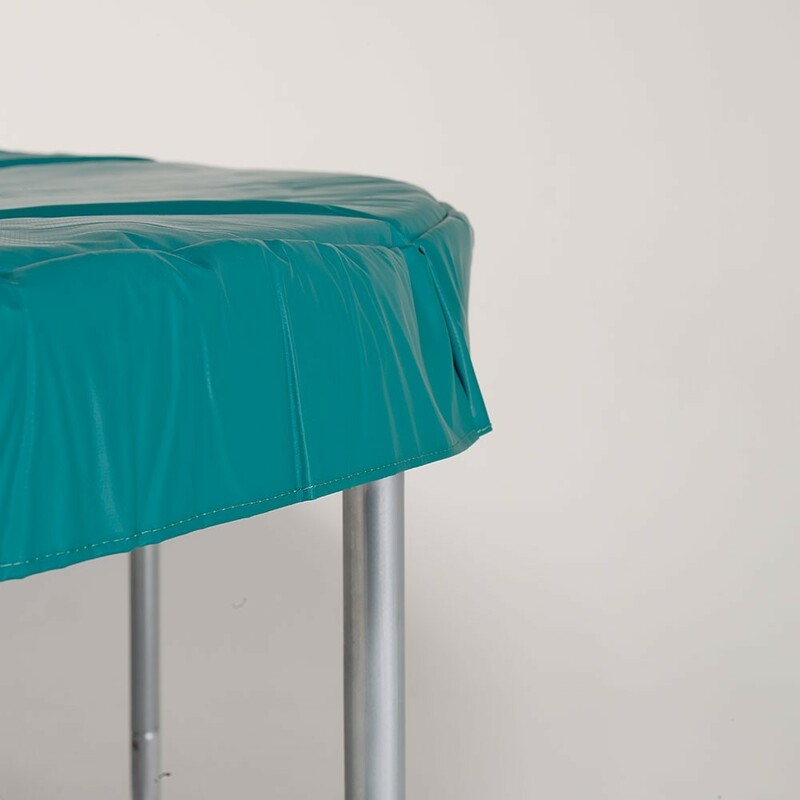 The black polypropylene mat is UV-resistant. 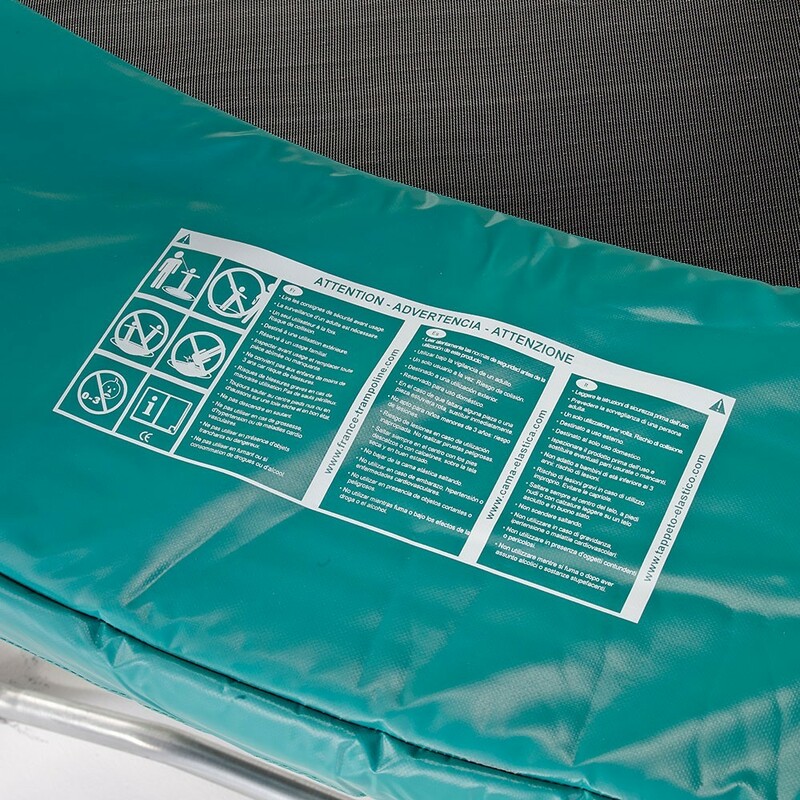 - The safety pad, essential to the safety of the jumpers, is made of a thick, single piece of foam wrapped in high-quality PVC. 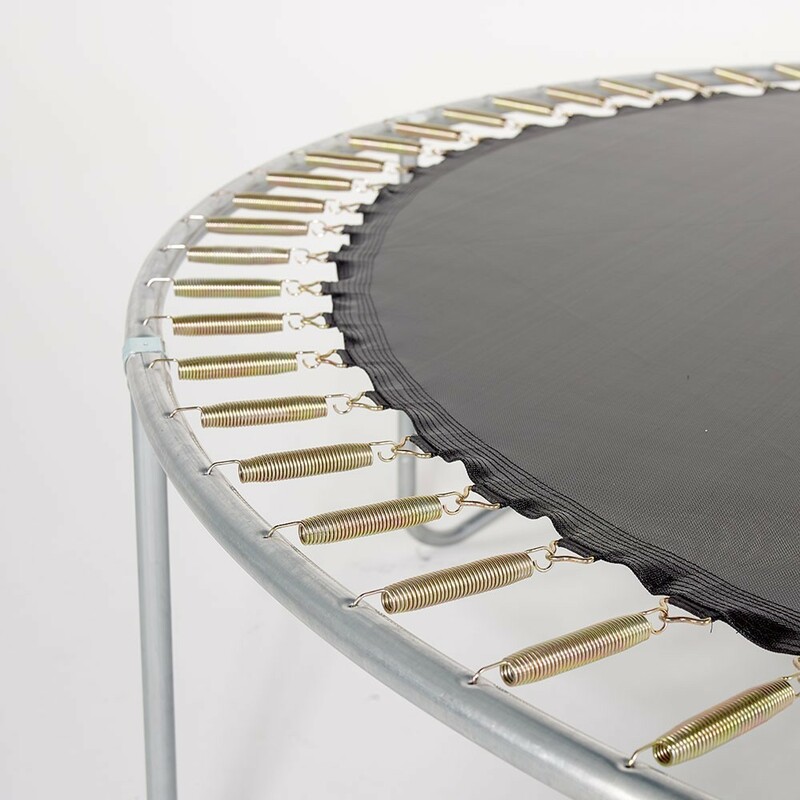 Caution: The legs of the trampoline are not drilled with holes to fasten the safety net to the trampoline using screws. If you have any questions, please contact our Customer Service.